Arthur Rice at Kipukai throwing net, 1910. 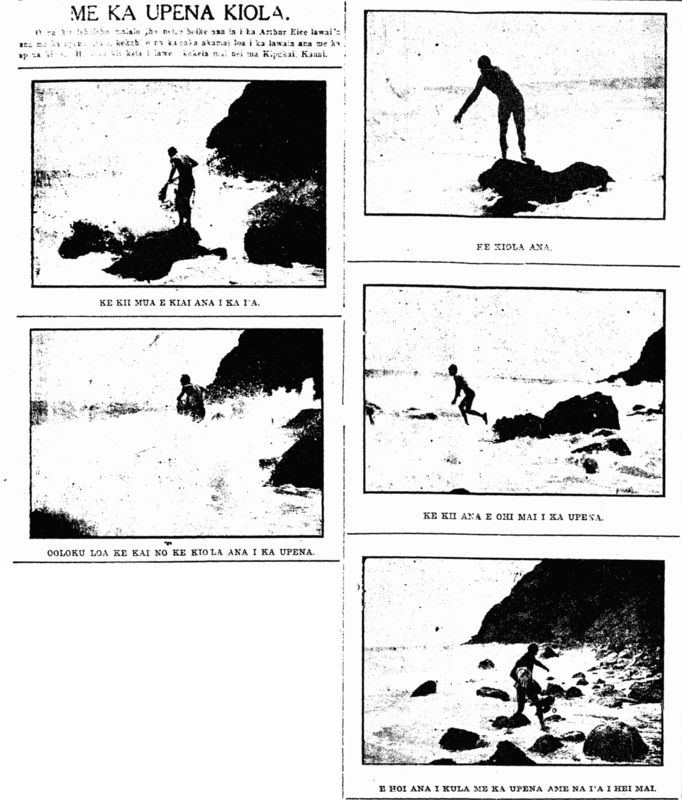 The many pictures below show Arthur Rice fishing with a throw net, one of the foremost fishermen using a throw net. These are pictures taken recently at Kipukai, Kauai. GOING TO CHECK OUT THE FISH. THE SEA IS VERY ROUGH FOR THROWING NET. GOING TO RETRIEVE THE NET. RETURNING TO LAND WITH THE NET AND THE FISH CAUGHT. Ka Nupepa Kuokoa, Buke XLVI, Helu 44, Aoao 6. Novemaba 11, 1910.